Official North Walsham Printed Town Guide - North Walsham Guide is created in North Walsham for North Walsham. We are currently producing the new 64 page, colour "Official North Walsham Town Guide" in association with North Walsham Town Council to be printed and distributed by End of May/Start of June 2019. This is a little later than in past years as it is scheduled to include council details which will not be available until after the 2019 Town Council elections. We are hoping you would consider supporting this project by taking and advert in the Town Guide. Below are the advertising prices and reasons why advertising in the guide is a great idea!!! You can contact us to advertise using this form ( click HERE ) or by phoning 01692 404114. Deadline for all copy & artwork is April 21st (Easter). You can contact us to advertise using this form ( click HERE ) or by phoning 01692 404114. A very cost effective way to reach the entire population of North Walsham and then some! This is more of a community project on behalf of the North Walsham Town Council to promote the town and it's facilities and as such it the official printed voice of the town. Everybody in North Walsham will receive a copy. The last editions of the guide were available via certain outlets in North Walsham with a 3,000 print run. For this relaunch we are producing a 10,000 print run with a copy delivered to every house in North Walsham as well as copies in North Walsham Estate Agents, Council Office, Information Office, Library and participating shops as before. The guide contains shed loads of useful local information and contact details including extensive information about the local environment, history, groups & organisations, leisure, sports, education, emergency contacts, media, important dates, maps, street details, photos, etc. It really if the most complete guide to the town that ever gets produced. 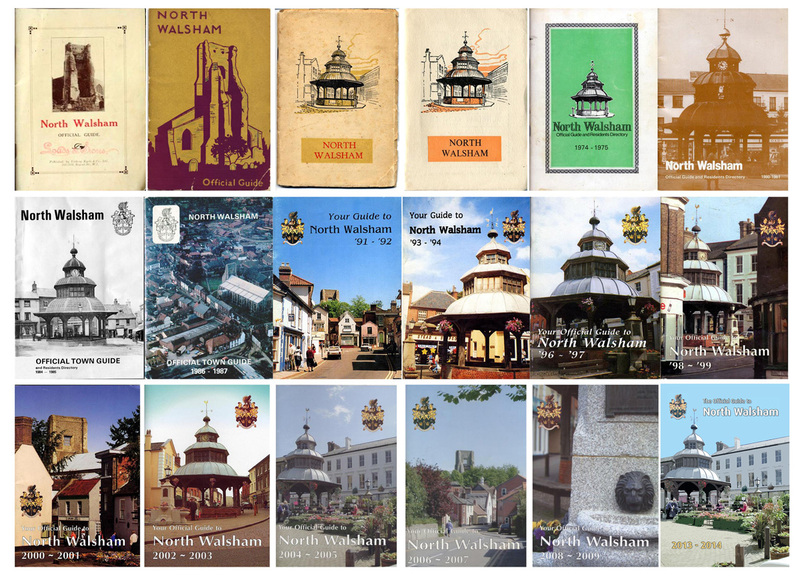 The Official North Walsham Town Guide is a quality 144 page guide to the town which many residents keep on their bookshelves for reference for many years. We have always prided ourselves on the quality and longevity of the guide, while there are cheaper ways to produce a printed product like this we have always chosen to professionally design and layout the guide and then print using the litho process on top quality papers. 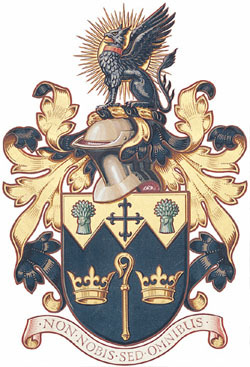 Fi is Assistant to the Clerk of North Walsham Town Council and as such has first hand access to all the current information for North Walsham. Wayne worked at Express Printing in North Walsham as part of the team who produced the guide for over 20 years from 1991 up until the very last edition. He also produces the very successful North Walsham Archive calendar and is am chairman of the North Walsham & District Community Archive group. It's part of the town's history and heritage. The copies are part of the history of North Walsham so taking an advert is more than just promotion for your business over the coming year, it's being part of a community and town and a record of the town's history for generations to come. North Walsham has had a regular printed town guide going back many years, the earliest we have in the North Walsham archive collection is 1930s. The funds from our advertisers make the North Walsham Town Guide's publication possible as promotion for the whole town. or by phoning 01692 404114.